There’s a music lover in every one of us. Music defines emotions and has integrated with the most inner self. To let the world know our emotions through music, Facebook, which has become an integral part of our social life, is the best way to do that. Let’s start with the most apparent one, the Facebook cover. 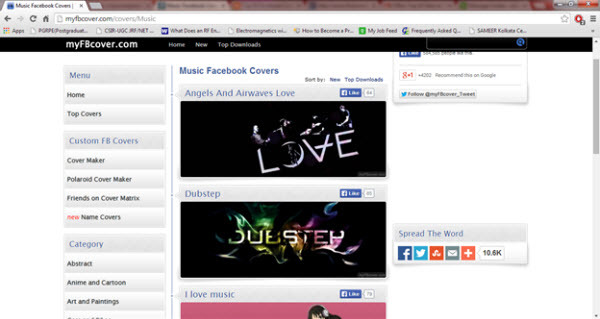 So friends, 10 best websites for Music Covers have been given here to let you choose what best express your feelings. Hope it helps. This site has amazing collection of animated, artistic and musical quotational cover photos you may not find elsewhere. It also has cover photos on various Bands and Singers. This website contains huge number of high-quality music images for your Facebook Timeline cover photos. It contains a lot of images related to music. You can find covers like Lady Gaga, Akon, Adele, Prince Royce etc. as well as covers for Backstreet Boys, Deathstar, One direction, Guns n Roses and other bands around the world. 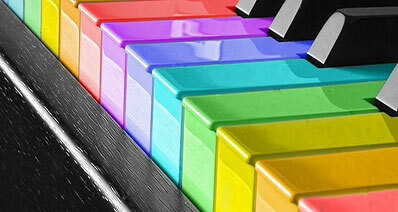 This site also has some cool animated and colorful music images also. You can surely find an unique image for your cover photo here. Smashitcovers.com is a great site. This site has a wide variety of music covers, ranging from band covers with quotes to individual artist to pictures of musical instruments. Also it has some animated music covers. This site contains one of the best collections of high quality cover photos in music category. It has music cover photos under the categories of musician, rappers, singers and lyrics and some can be found under miscellaneous category also. 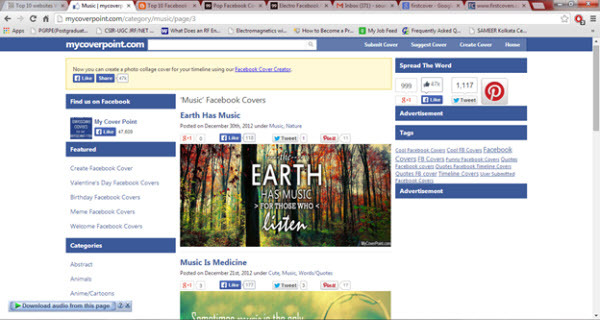 This site contains great music covers for Facebook. These covers can be found under the categories of Dance, Electro Music, Pop Music, Hip Hop, Indie Music, Rap, R & B and Rock. These categories contain covers of the star musicians of each style of music and have some good collections of animated music covers. 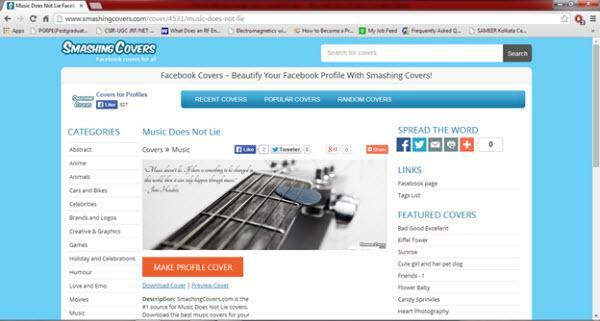 This particular site contains some fantastic high quality music covers, the type you will simply love. Most of them are great animated and instrumental covers among which some great variety of guitar cover photos are present. 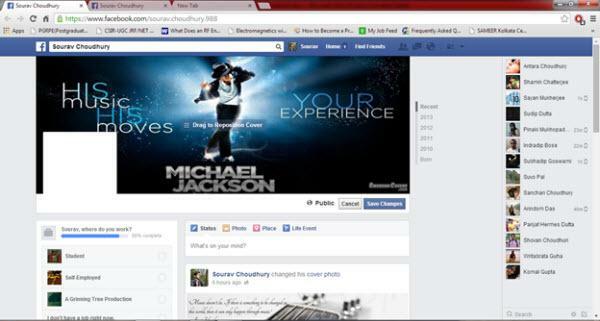 This Facebook cover site is another good site to meet your needs. It contains some very good but different kind of covers which difficult to find in other sites. These covers are on great music quotes, instruments, headphones and some cute animations. 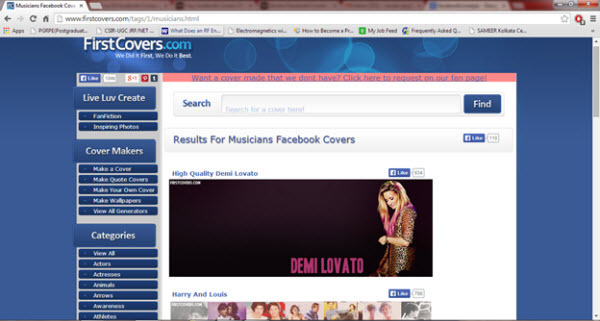 This site contains great Bands and music group covers as well as good collection of animated and artistic covers. 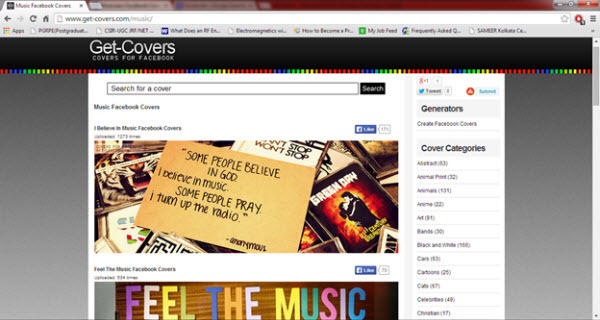 Also Bands covers can be found here. 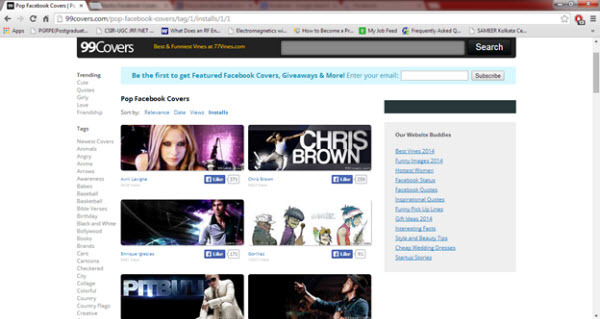 This site contains very good collection of artistic and animated music covers for Facebook. 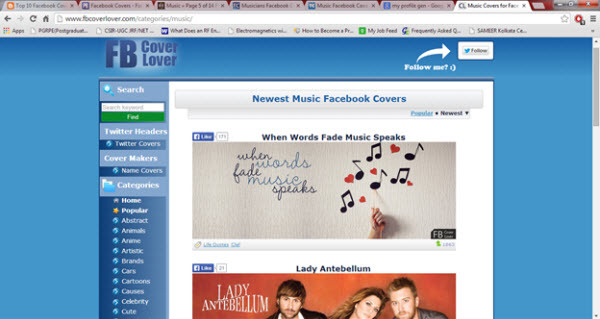 After finding the Facebook music covers you need, you'll want to add them to the Facebook music you have. 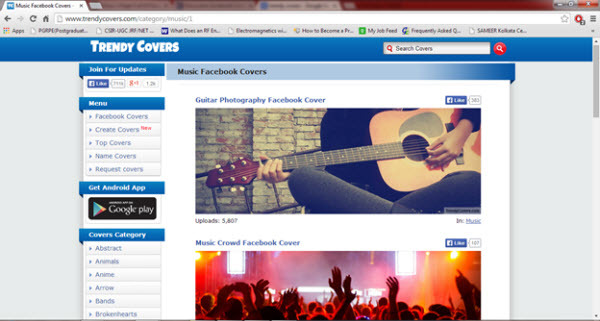 This part will introduce how to add and change Facebook music covers with detailed steps. Step 1. 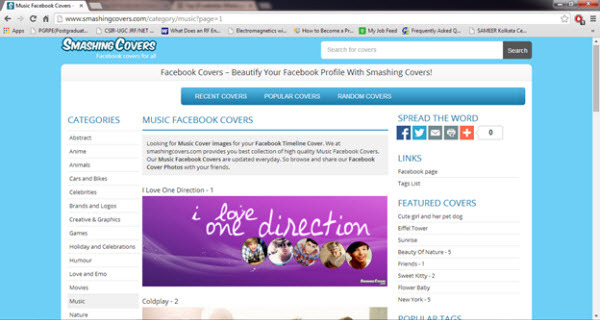 First go to a Facebook cover website, for example www.smashingcovers.com. 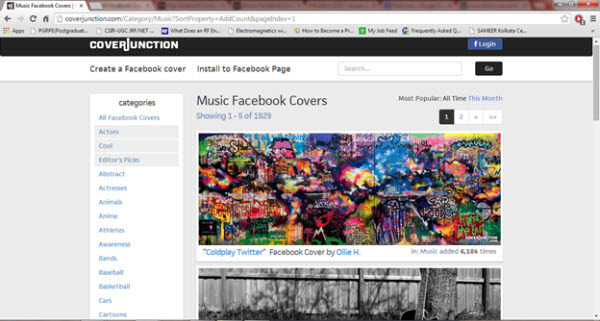 This will land you on the homepage where you can see different categories like Abstract, Animal, Cars, Movie, Music etc. By default Recent tabs are selected in most sites. Step 2. 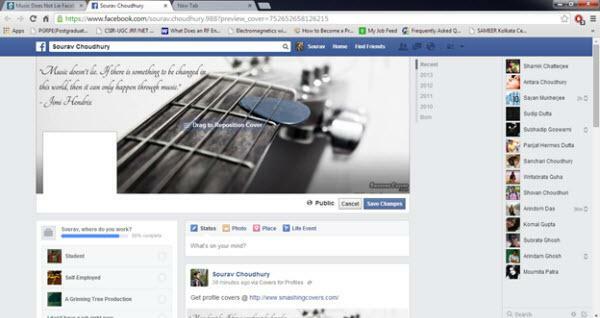 Suppose on page 2 we have chosen the 2nd picture, guitar with Jimi Hendrix quote, to be our cover photo in Facebook. Whenever you take the mouse pointer on that particular photo you will get an option like “MAKE MY COVER”. Left click on it. This will land you on the following page. Now left click on “MAKE PROFILE COVER”. If you like you can preview the photo by clicking on “Preview Cover” before making the final selection. Step 3. After hitting it a new window will open where you have to give permission to log in with Facebook. Now left click on ‘Okay’ on the right bottom corner You can also select whether it will be seen publicly or only by friends or any other by clicking on the bottom left corner of that new window. By default public profile is selected. You can just select ‘skip’ for now as it can be done after you have done adding cover. If you prefer public then left click on ‘Okay’ again. Step 4. 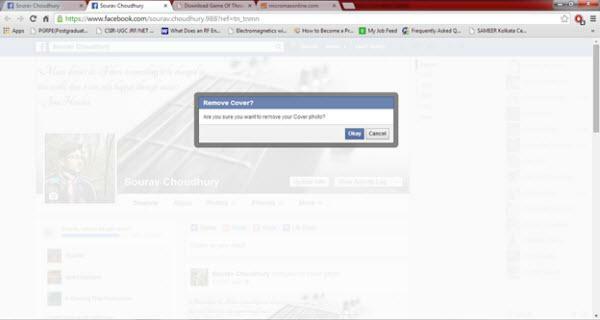 After that, left click on “CONTINUE TO FACEBOOK”to go to your facebook. Step 1. Go to your Facebook profile page. Here you can see the cover photo. Step 2. Now place the cursor over the cover photo. A hand tool can be seen and also an option to ‘change cover’ should appear on the right. Left click on it. 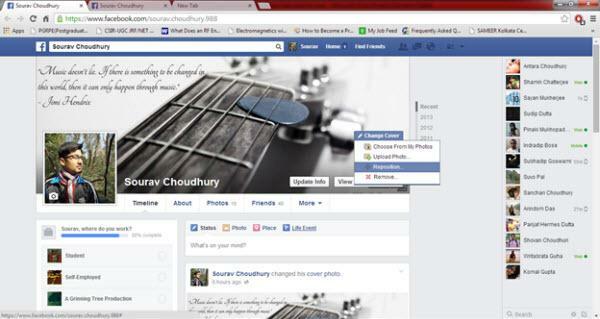 This will give options to “Choose from My Photos”, “Upload Photo”, “Reposition” and “Remove”. Step 3. Now if you select “Choose from My Photo”, this will open your recent uploaded photos on a floating window. Left click on any of these and that becomes your cover photo, then just save it like before. Also you have the provision to choose from your photo album and to do that click on “Photo Albums”, on the right top corner of the floating window. 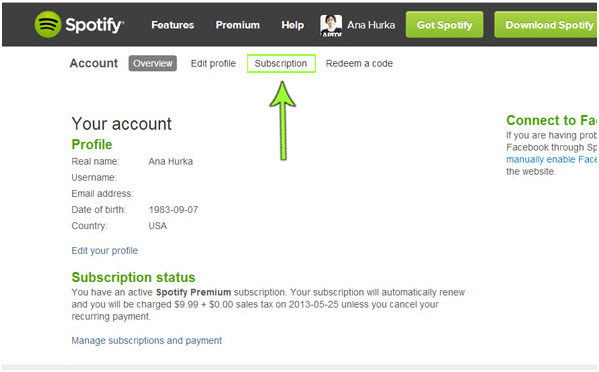 Then enter into the album you want, select the picture and then left click on “Save Changes”. On the other hand, if you want to set a photo which is in your hard drive as cover photo, select “Upload Photo”. This will open you default save files window. Step 4. If you want to remove the cover photo then click on ‘Remove’. This will bring you to this page. Now if you click on ‘Okay’ then it is removed. When it comes to downloading music on Facebook and fixing the music information, many people will come up with troubles. There's no doubt that people can listen to music on Facebook easily, but they aren't allowed to download Facebook music, let along fix the music information. 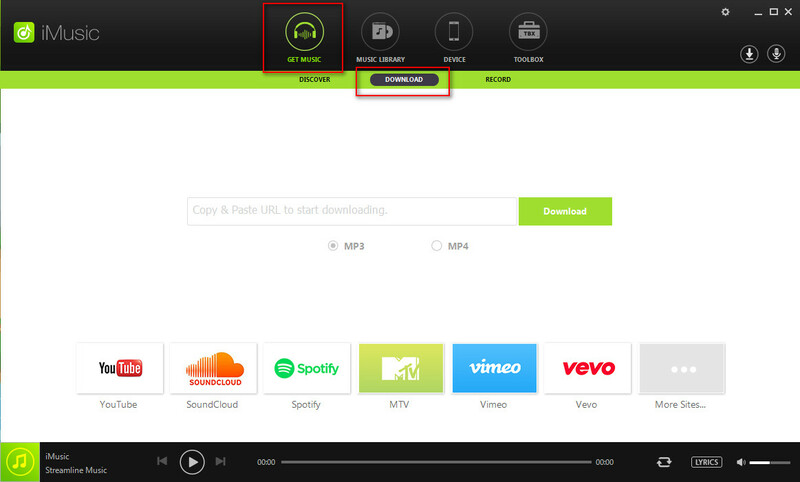 If you want to download and fix Facebook music, you'll need the help of a Facebook music downloader program. iMusic is undoubtedly one of the most helpful music downloader program for you to download and fix Facebook music covers. The program enables you to download music from more than 10,000 music sharing sites, and it will automatically fix the music information during the downloading process. 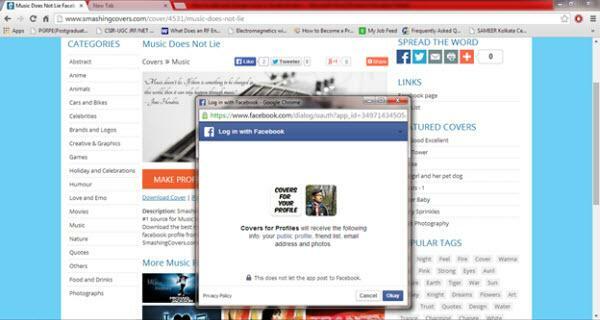 This part will introduce how to download and fix music Facebook covers with iMusic in detail. Step 1. Download and install iMusic on your computer, then start it. 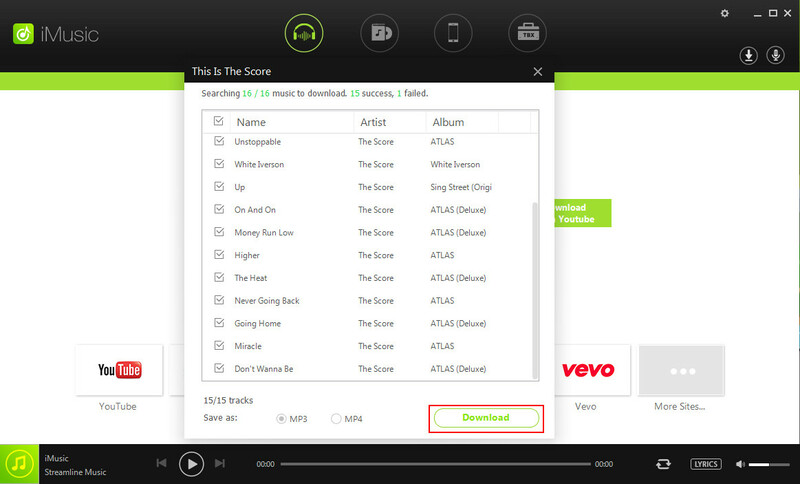 Now you should select the DOWNLOAD option at the top middle of the main interface. Step 2. 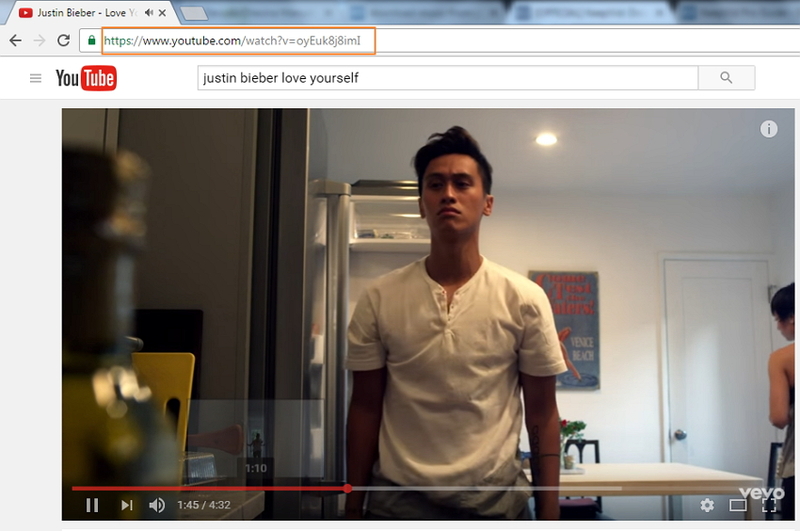 Now go to the music sharing site like YouTube, and find the music file you want to download. Then copy the URL in the address bar. Step 3. After copying the URL, iMusic will automatically paste it into the program. Now click the Download button and the program will automnatically start downloading. Step 4. When the downloading process is done, you can choose ITUNES LIBRARY option at the top middle of the main interface, then choose the Downloaded playlist (Down Arrow at the upper left corner) to view the downloaded music file. During the downloading process, iMusic will automatically fix the music information, so you don't even need to find a music cover on the Internet. 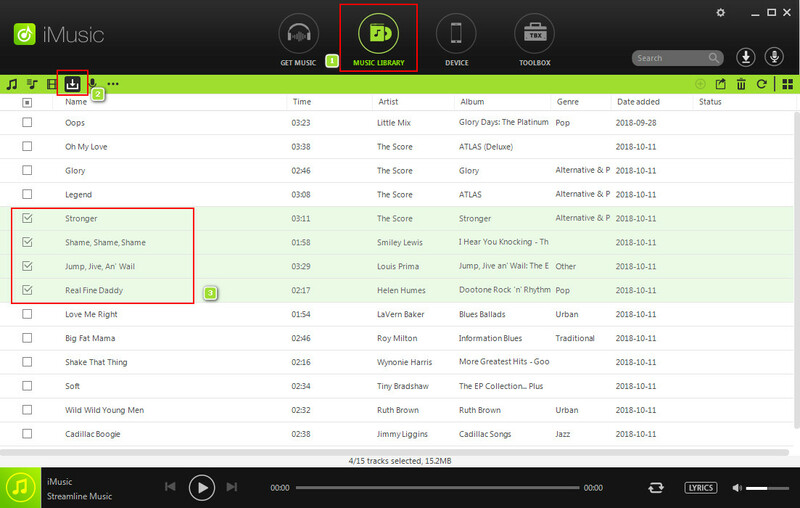 The program will enable you to get almost any music you like with simple clicks. 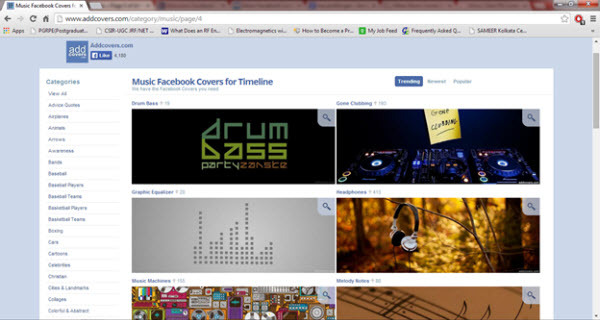 If you want to find Facebook music convers, just check these methods out.